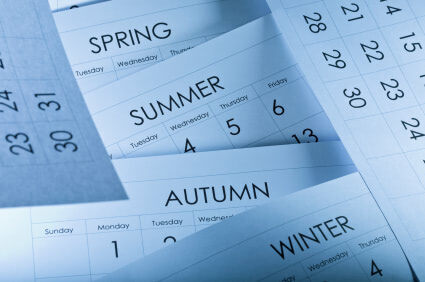 If you're in the retail industry, you don't need to be told that the change of the seasons means "crunch time"; you've got just a few days to get new items in and old items out. What's more, whatever old items don't sell need to be stored safely and affordably. You may need to move excess items from your store to another store or to headquarters. A Conex box can meet these needs, providing a convenient and portable solution for product overflow. You won't have to worry about your products being exposed to the elements, because Conex boxes are designed to withstand open-ocean travel. Conex boxes are easily transported, so if you need your merchandise moved from one location to another, all you have to do is move the storage box it's already in. Since the size is standard, normal carriers and cranes can move Conex boxes. Conex boxes can be stacked and arranged as you need them, helping to minimize the amount of space your stored merchandise uses. If you have a large amount of overflow or a small amount of storage space, this is an especially important feature. Note, however, that stacking is an involved process, where a crane or large forklift on site is required. Stacking is a good solution for a retailer with very limited space on site. You might not want to buy your Conex boxes—particularly if most of your storage needs are seasonal, or if you are in the temporary process of expanding. Renting boxes allows you to get the storage space you need at an affordable price, without having to commit to space you might not need later. Check out the various considerations that come with renting versus buying a Conex box. If you live an area with high humidity or extreme heat, some of your items may need to be stored in a climate-controlled box. For example, electronics and paper may not respond well to heat and humidity. Depending on your needs, you may want to get Conex boxes that have climate control features such as insulation or even an HVAC system. If you're concerned about whether or not you need a modified shipping container, you can ask Falcon Containers what they would recommend.